2nd Place (C) - Patt Foad from London. 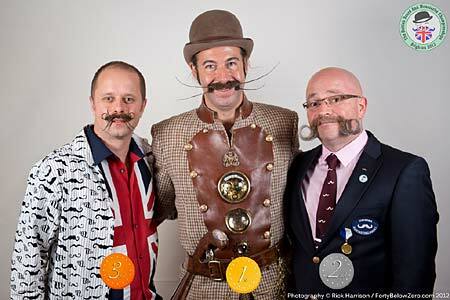 3rd place (L) - Drew Muncaster from Bridgwater, Somerset. 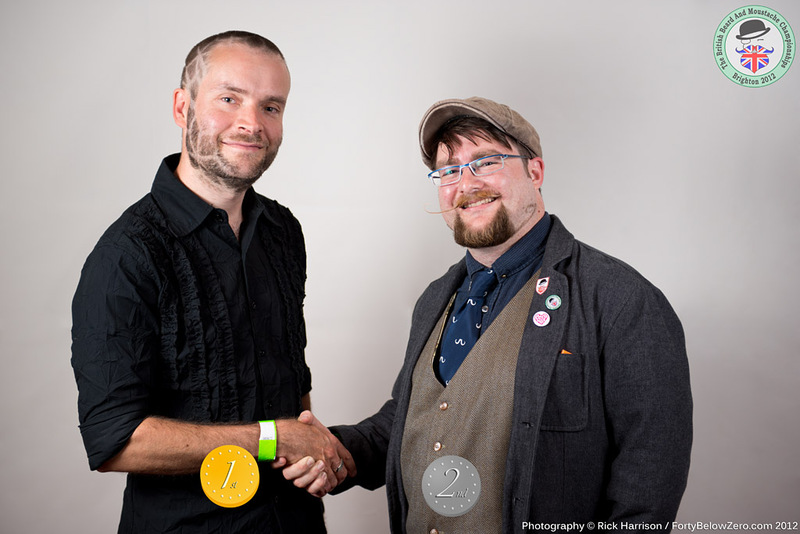 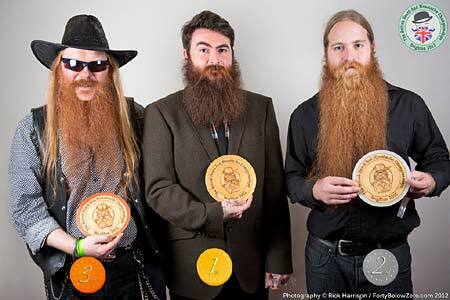 2nd Place (R) - Andy Parry from Belper, Derbyshire. Nick Sayers from Hove, East Sussex. 3rd place (L) - Colin Poetz from Brighton, East Sussex. 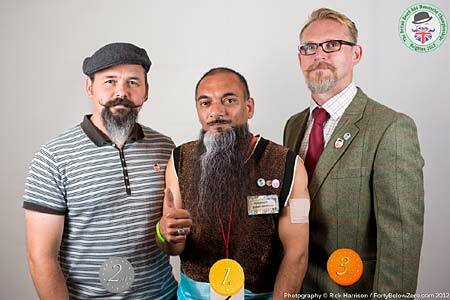 3rd place (R) - Jos Gibson from London. Matthew Brown from Edinburgh, Midlothian. 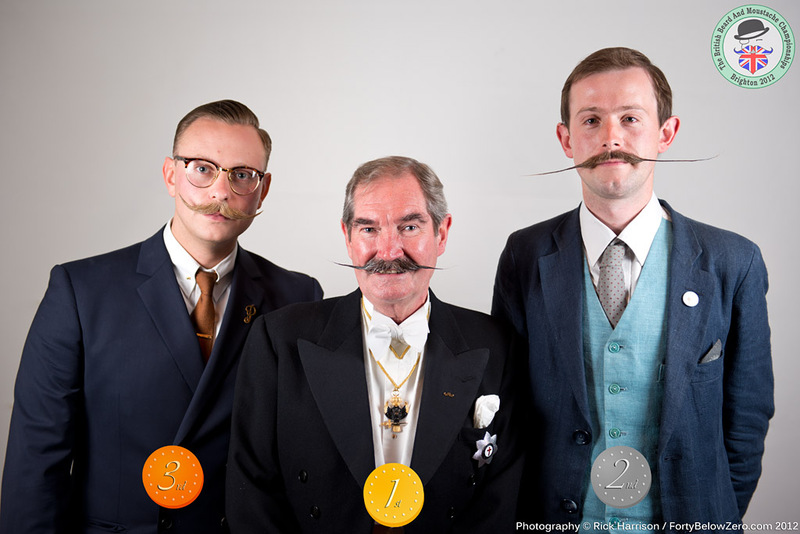 3rd place (L) - Stephen Brown from Brighton, East Sussex. 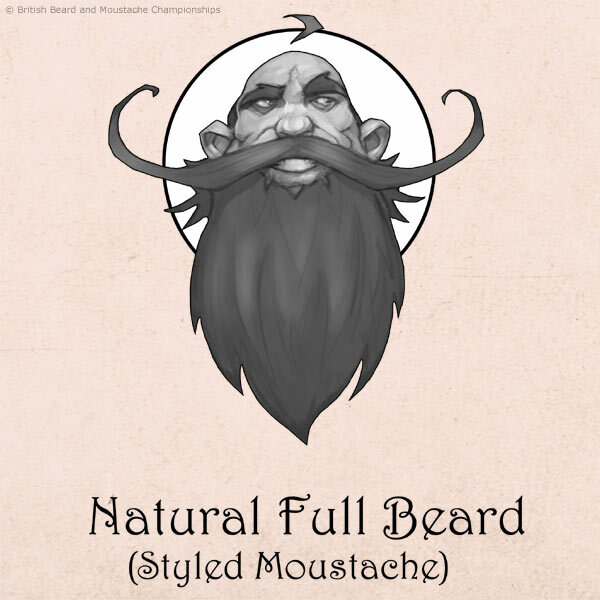 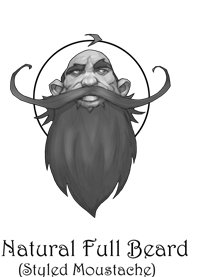 IS THIS YOUR BEARD OR MOUSTACHE STYLE? 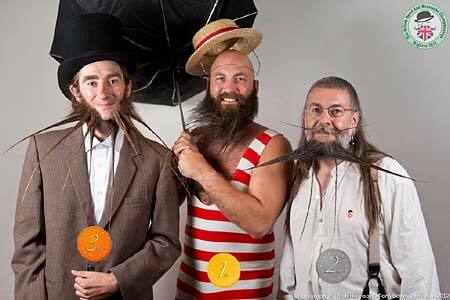 As grown. 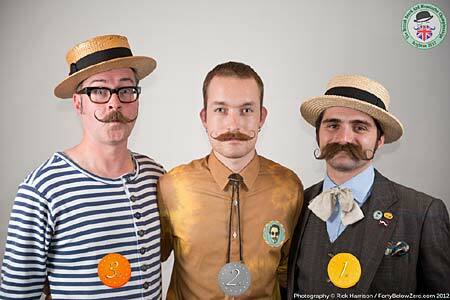 Only the moustache can be styled with aids such as wax, sprays, glues. David Dade talks about giant goatees, beard metal and Father Christmas to DJ Chris Dale. 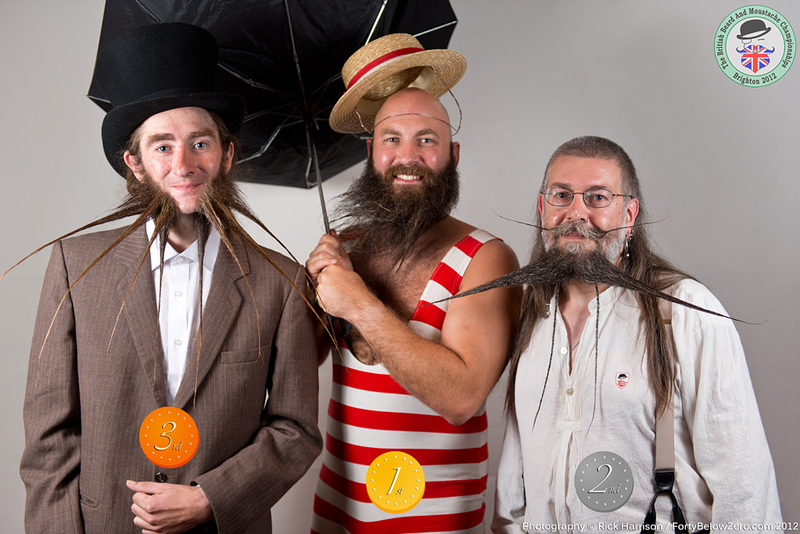 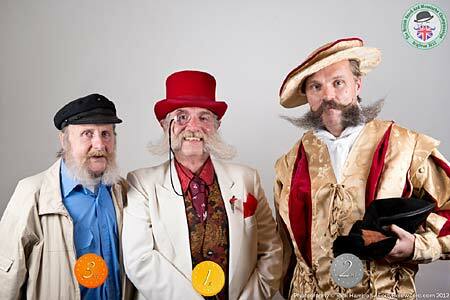 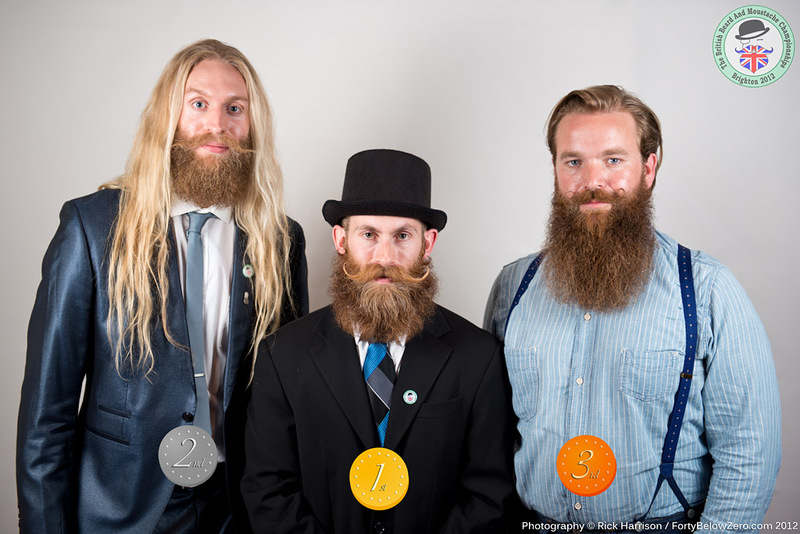 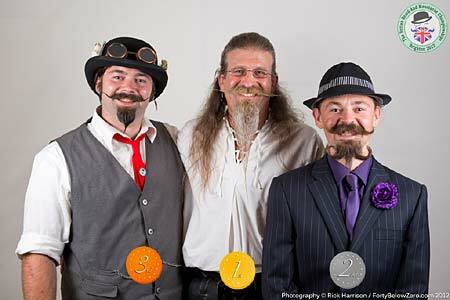 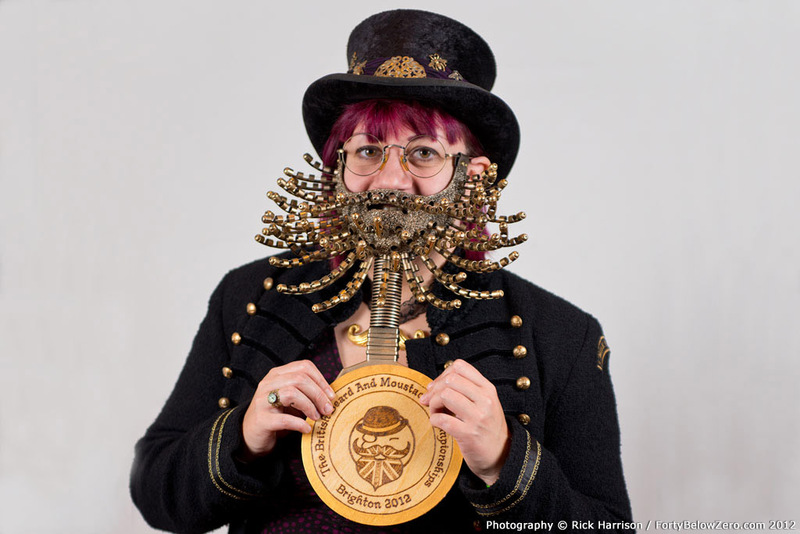 In this fascinating photo sequence, Frazer Coppin, World Championship Musketeer category-winner and stylist extraordinaire, creates Charlie Saville's unique Beard Freestyle for WBMC 2011 in Trondheim, Norway. 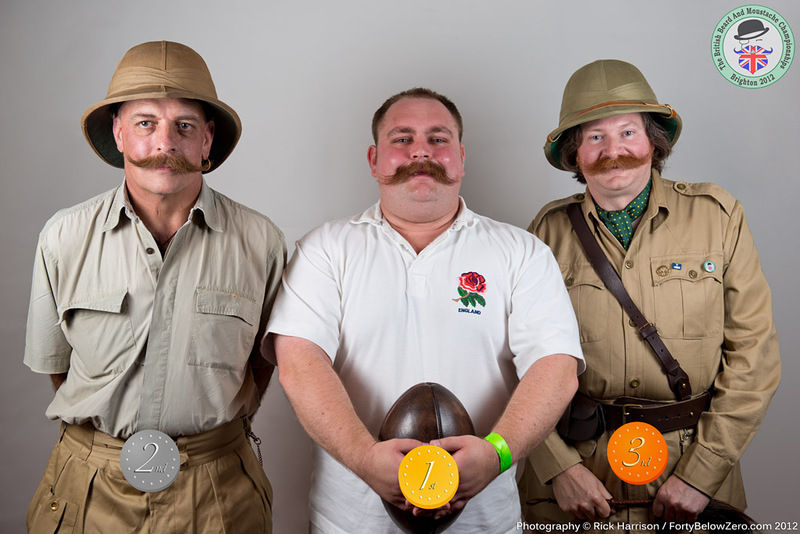 Stage 3 - "You hold on to that one, Charlie!"